Adam Spence and Erin Kelly have had a mechanical on TS3. A wheel has fallen off the car which is particularly unfortunate for the team as they were leading leading Wrest Point Showroom after TS2. After TS3 Bunjamin Noor is now in the lead in Showroom. 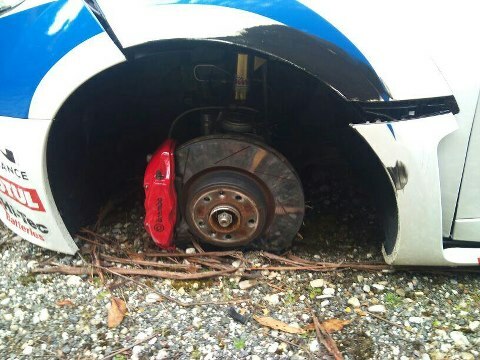 This entry was posted in Targa Live on 02/02/2013 at 1:13pm by TARGA LIVE.